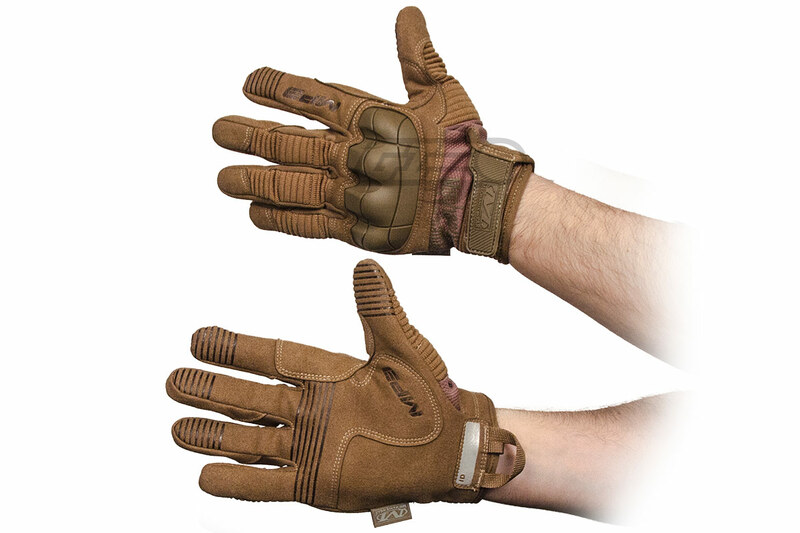 The mighty M-Pact 3 provides military and law enforcement professionals with full-coverage hand protection in the field. A dense one-piece Thermal Plastic Rubber (TPR) knuckle guard is anatomically designed to absorb forceful impact to the back of the hand and improve overall mobility during hard-charging operations. The outside of the thumbs and fingers are protected by 3mm EVA accordion padding, while the low-profile TPR top closure creates a secure fit to the wrist. The M-Pact 3 features internal fingertip reinforcement for extreme abrasion resistance and embossed patterning for added grip where you need it most. The two-piece palm construction reinforces high-wear areas and reduces material bunching to preserve dexterity when handling firearms.